This is the same for any hobby, firstly you need to complete the collection as you will not be able to start the collection again if you don’t have all the pieces yet. Once opened you will see the start collection again button at the top, hit that and the collection will be reset so you can find all the pieces again. When you reset the hobby it doesn’t reset your level, so if you were on level 6 you will still be on level 6. Do you get to pick the hairstyle you get every time you unlock one? Thanks for your help! Are the hairstyles available for men and women? I thought I’d read that they were, but I can only find them available for the women, both in the wardrobe and the salon. You’re welcome 🙂 I’m glad it helps! If you don’t complete the quest can you get them later or something??? Contact EA to see if they can sort this out for you. Hello, all of my sims are level 6 in their hobbys but I want to pass this hobby quickly. What must I do? I read somewhere that if you’re at level 6 in a hobby, you can start a new hobby without forgetting the last one. Do you know if that’s true? Thanks for all your help, you rock! Hi, your blog is awesome, great help, tank you. Hi, I know this isn’t the correct page, but I have a question about leveling up on hobbies. It always says I should earn a reward for leveling up on your site, but I never get any rewards! 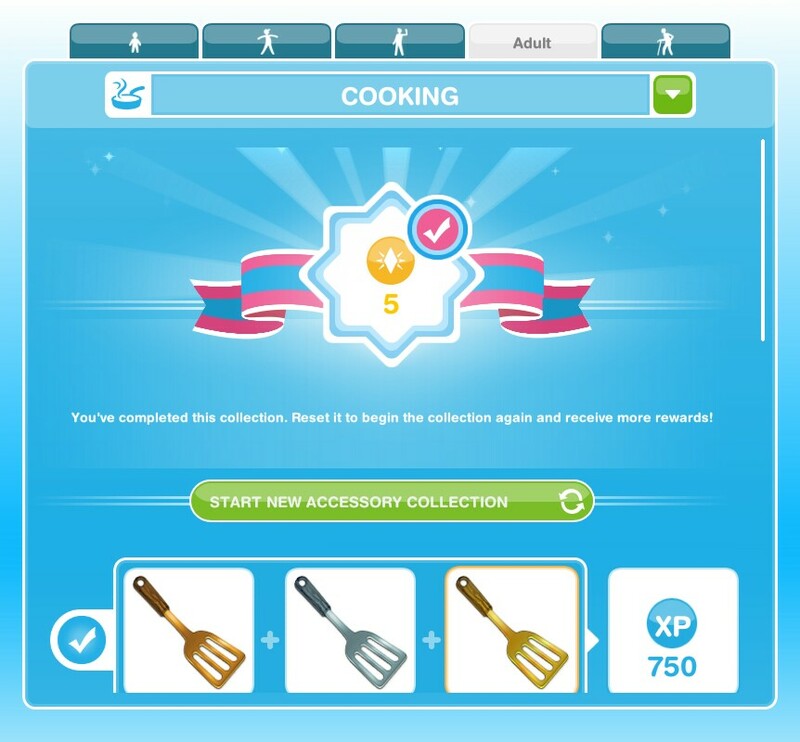 For cooking, when I became level 5, I was supposed to get 10,000 town value as said in your blog. But I didn’t! 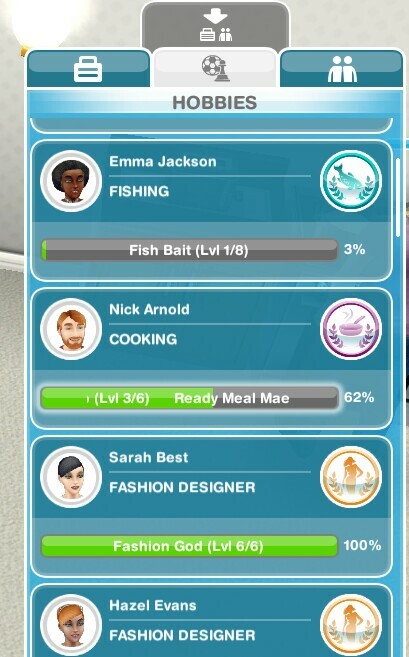 My fishing sim also just became level 8, and she didn’t get any prizes! I apologize if this is posted somewhere, but I didn’t see. I decided to restart the woodworking hobby as to make it easier to get a “weird ornament” in a neighbors town for SP’s, anyway I was really PLEASANTLY surprised that the reward for completing it again would be the premium dog house! As always thank you for your page!!! !